It is not a cultural norm to say “thank you” among friends and family in Myanmar. This cultural difference in manners can sometimes lead foreigners to interpret Burmese behaviour as rude or disrespectful. However, consider that this is generally not the intention. Respect and gratitude is shown in different forms. Bamar from rural areas may wear makeup called the ‘thanakha’. This is a thick patch of makeup (sometimes shaped as a design) on each cheek that isn’t blended. It’s thought to be cosmetically attractive in Myanmar, and also prevents sun damage. The Karen may judge measurements by their physical surroundings. For example, they will give the size of something by comparing it to a body part or measuring distance by how long it would take to walk. There are folk beliefs that walking under a staircase or a clothesline used to dry women’s longyis (the traditional skirt) can cause an individual to lose willpower, and keeping broken glass in the home or washing the hair soon after a funeral causes bad luck. Consider that some Burmese living in other countries may be sceptical or fearful of authority figures, such as the police force. Having come from a military dictatorship, they may have experienced abuse by Burmese soldiers as well as from refugee camp authorities in neighbouring countries. Many men in Myanmar chew betel nut and spit its residue on the street. Discussions about other people’s weight are quite normal. In Myanmar, moderate plumpness is a sign of good health. People may comment as such by saying “Wa-lo hla-lo” (You are looking more plump and more beautiful). This is not considered too personal or rude. Myanmar has plentiful resources for the indigenous populations and, as such, there has not been a historical problem of scarcity. This has seen the people from Myanmar have a different perception of the environment, sustainability and its use. They generally hold the view that everything that grows in the environment belongs to anyone who can make use of it. For example, they may cut down trees at random as they need them. Ultimately, there is little concern for recycling or sustainable practices. The Name: Burma or Myanmar? The name ‘Burma’ was adopted in the 19th century following British colonial invasion of the country. 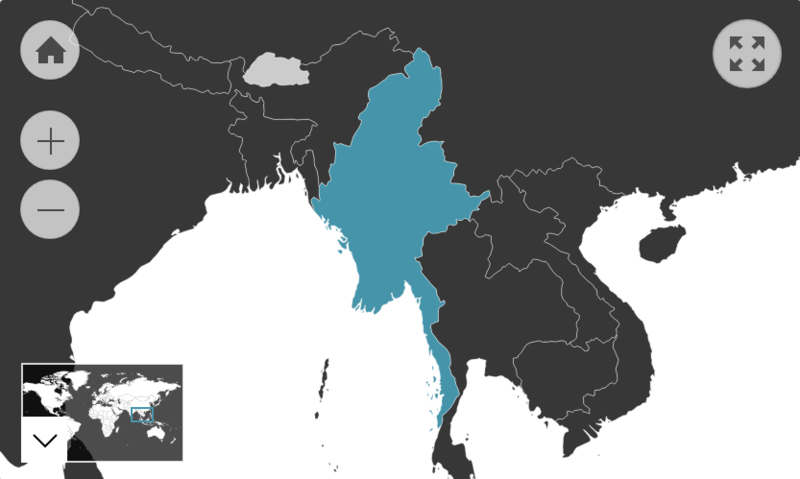 In 1989, the ruling military regime changed Burma’s name to ‘The Republic of the Union of Myanmar’ to reclaim an indigenous title. However, pro-democracy activists, including Aung San Suu Kyi, preferred to use the name ‘Burma’ because they did not accept the legitimacy of the unelected military regime to change the official name of the country. Furthermore, the name ‘Myanmar’ has pre-colonial connotations that imply the political dominance of the Bamar people (the majority ethnic group). Thus, many Burmese from minority ethnic groups strongly dislike it and choose not to use it. Internationally, both names are recognised. Since, the military junta’s fall from power, it has become more common to use ‘Myanmar’. However, outside of formal diplomatic exchanges, it's still common practice to refer to the country as ‘Burma’. The use of ‘Burma’ often infers a political position recognising the many Burmese in Australia that have suffered under the regime and the self-determination of minorities. However, this resource follows the growing policy among most of the international community to use ‘Myanmar’.